This month Featured Video: "How to create Custom Fields"
Having a system that helps organizations understand their donors is critical to maximizing the potential of their contributors. 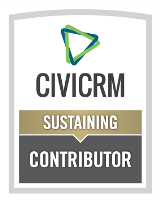 When a donor makes a contribution, a significant amount of data is recorded in CiviCRM. Much more than just the date and amount of the contribution. "Summary Fields" helps us uncover this additional data. The Wisconsin Nonprofits Association (WNA) is Wisconsin's statewide membership organization whose mission is to help strengthen Wisconsin’s nonprofits. Cividesk is Sprinting! Should you? 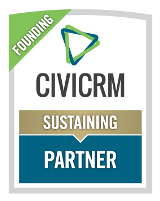 Beyond the free and Open Source license, the infinite functional richness and intuitive user interface, one of the best aspects of CiviCRM is its strong Community. And nothing gets you closer to our Community than being part of a Sprint. But what is this Community, what is a Sprint, and why should you care? Email is critical for everybody, but even more so for nonprofit organizations as this represents the primary means to spread the word about their mission, showcase their results, and directly or indirectly sollicit the donations that are critical to their very existence. 30 minute weekly “CiviTips” focus in-depth on one particular feature such as Reporting or CiviMail.